Today’s weather was slightly warmer than the past couple days with a high temperature in the lower 40s. Although it was warmer, it’s still not warm enough to be comfortable while walking to class outside. But have no fear, spring is just around the corner and so is spring break! The comforting promise of spring break will get you through the toughest of midterms. Skies will remain cloudy throughout the night with a low temperature near 27 degrees. Thankfully, winds will be minimal; there is nothing worse than walking in cold and windy weather. Tonight is the night to grab a bite out on Route One if you do not have any midterm studying to do because sloppy weather will move in tomorrow. Students get excited when they hear the word snow, but this time there is nothing to get excited about. There is a chance of snow before 10 a.m. that will turn into a chance of rain and snow between 10 a.m. and 1 p.m.. The timing of the arrival of the precipitation will determine whether we get any snow or only rain. Early morning and late night temperatures will be cold enough for snow, but the high temperature tomorrow will reach up into the upper 30s, which is too warm for snow. No matter what happens, it is sure to be an icky day. 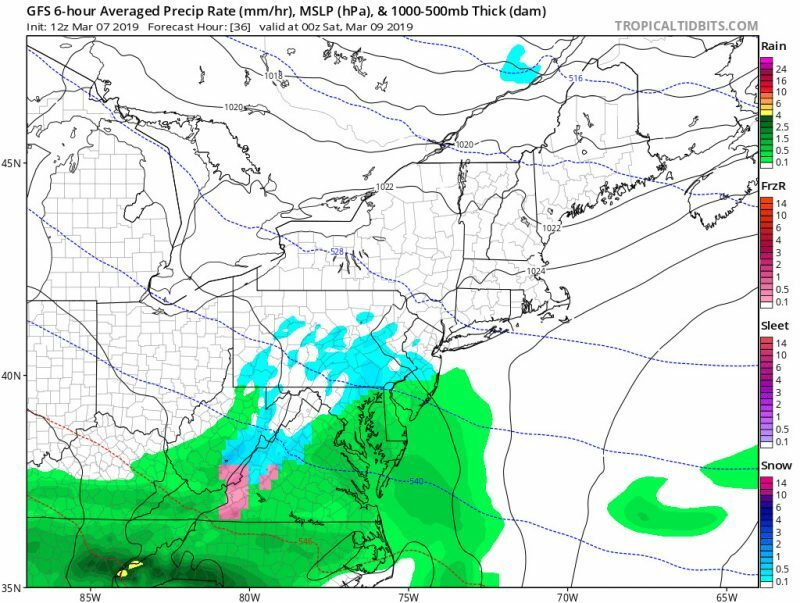 The Global Forecast System (GFS) model shows D.C. very close to the line where rain switches to snow on Friday at 7 p.m. (via Tropical Tidbits). Tomorrow night will continue to be cloudy and rainy in the evening. 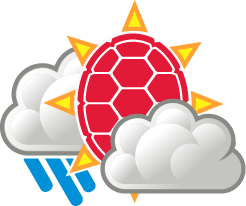 The chance of precipitation is 40%. However, after midnight, the rain should stop. The low temperature will be near 31 degrees, and winds will remain light. Saturday the high temperature will be in the mid-40s, and skies will be partly sunny. Saturday night we will see some rain showers that will continue into Sunday morning. Although a bit rainy and cloudy, Sunday will be a nice day with a high temperature in the 60s! It will feel incredibly nice compared to the temperatures we’ve had this week. If you can swing it, try to take an afternoon study break outside to enjoy the warm weather.